There is nothing better for building happy family memories than singing along with Raffi to classics like “Baby Beluga” and “Down by the Bay.” This collection of Raffi favorites, released February 10, 2017, with the best from 40 years of delighting children and their parents is sure to become a family essential. This is the best there is when it comes to music for families — a must-have for car trips and bedtimes. 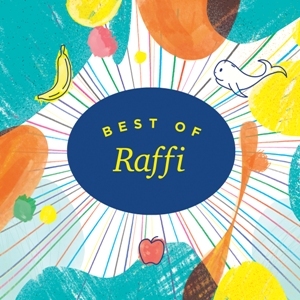 And with this new release, the kids who grew up with Raffi can share these timeless melodies with their own children. Raffi will also be on tour, with family concerts in California in late January, Minneapolis and Chicago in April, and Philadelphia and Pittsburgh in May. The third season of James Franco’s “Making a Scene” will be available in April on the new digital media company Blackpills. The new season includes “Anaconda Scissorhands,” a parody fusion of Nicki Minaj’s Anaconda and Edward Scissorhands, “Famous Potter” a mashup of Kanye West’s “Famous” with the Harry Potter series, as well as “Poker Things,” a satirical collision of Lady Gaga’s “Poker Face” with the Netflix original, “Stranger Things,” featuring guest stars including Josh Peck and Juno Temple. Guy Ritchie’s “King Arthur: Legend of the Sword” stars Jude Law and Charlie Hunnam, with Eric Bana as Uther Pendragon, and Spanish actress Astrid Bergès-Frisbey as Guinevere. The presenters and the awardees brought a strong message of justice and inclusion to this year’s SAG awards, which were given out at the end of a long, combative weekend following the new restrictions on people entering the country. The awards were satisfyingly spread out, honoring a range of productions and sources. Long-time awards favorites and newcomers were recognized, from Denzel Washington (“Fences”) and Julia Louis-Dreyfus (“Veep”) to Claire Foy (“The Crown”) and the cast of “Stranger Things.” The SAG Award show is always straightforward and elegant. 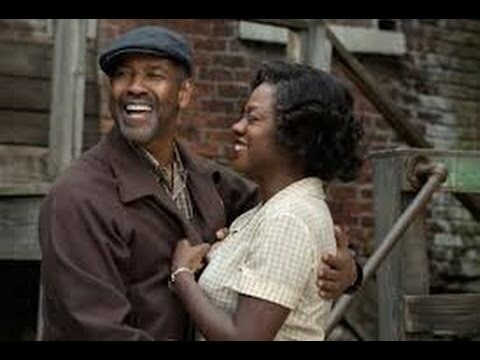 It does not waste time on musical numbers or elaborately produced opening sequences. There are no high-profile hosts. Members of the Screen Actors Guild spoke simply and sincerely about what being an actor meant to them, and then it was just a matter of introducing the nominees and presenting the awards, plus the in memoriam segment and the Lifetime Achievement Award to Lily Tomlin, presented by her “Nine to Five” co-star Dolly Parton (a bit nervous and giggly because her co-presenter, Jane Fonda, had to cancel due to illness). “Finding Dory” and “Zootopia” were the only 2 movies in 2016’s top 10 in which a female character had the most dialogue. Female characters were outnumbered in “Captain America: Civil War’s” final battle 5:1. Throughout the movie, they only contributed 16% of the dialogue. 78% of the female-spoken lines in Rogue One came from Jyn Erso. While Harley Quinn was a highly advertised character in “Suicide Squad,” she only spoke 42% as many words as Floyd/Deadshot (played by Will Smith). Notably, Amanda Waller (played by Viola Davis) spoke frequently, totaling just 222 words (16%) short of Deadshot’s word count.